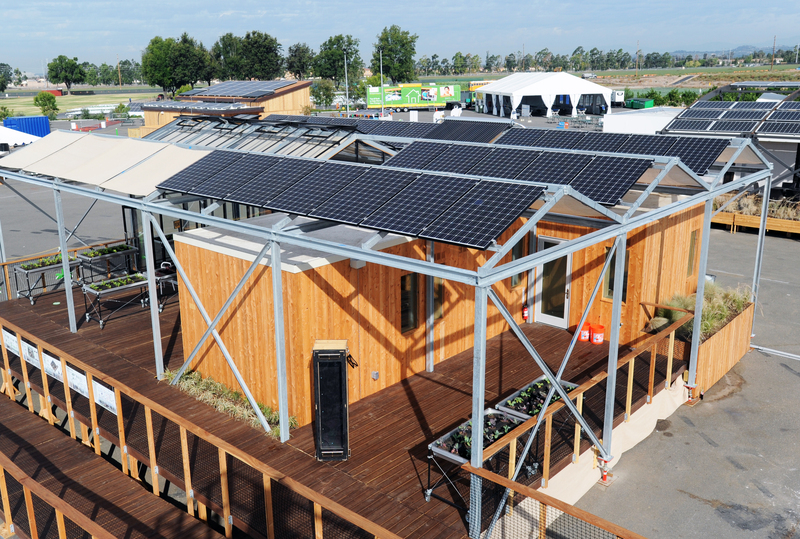 GRoW Home placed second overall at the U.S. Department of Energy Solar Decathlon 2015. The team from the University at Buffalo, The State University of New York earned first place in the Comfort Zone Contest, tied for first in Energy Balance, and earned second in Appliances and third in Communications. After the Solar Decathlon, the GRoW Home returned to the University of Buffalo where it was reconstructed adjacent to the School of Architecture and Planning. In early 2018, it was announced that the 1,100-square-foot, ultra-efficient dwelling would be relocated from UB's South Campus to a more prominent, and permanent, location next to the Solar Strand on the university's North Campus. "We now have a chosen direction that will guide decisions made on the GRoW Home going forward," said Martha Bohm, assistant professor of architecture in UB's School of Architecture and Planning and faculty lead on the GRoW Home, for a February 2018 news story on the house. In its newest iteration, the GRoW Home will no longer be a home, the story said. Instead, it will become a clean energy education center that will be used to educate the public about low-energy living, while providing classroom and small event space.